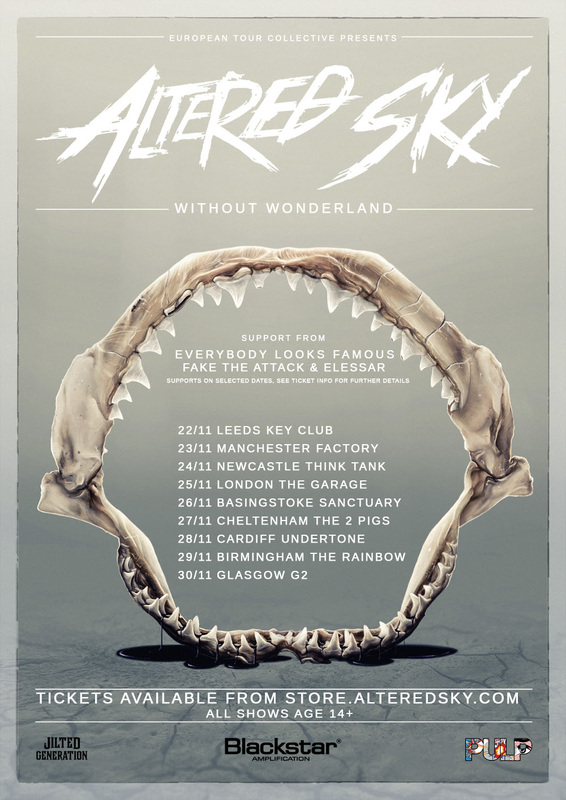 As the build up to their eagerly awaited debut album ‘Without Wonderland’ continues, Scottish rockers Altered Sky have announced they will be touring the UK this November on their biggest headline tour so far. This tour will be the first chance to hear the songs from ‘Without Wonderland’ following the album’s release on the 20th of November. Altered Sky will be playing 9 shows up and down the country with support from Everybody Looks Famous, Fake The Attack and Elessar. Not all support bands are appearing on all the shows, so please check individual listings for the full line up of each gig. Tickets for the shows can be acquired from the bands official web store store.alteredsky.com or from the venues directly. Altered Sky’s debut album Without Wonderland will be released on Friday 20th of November 2015. The album is available for pre-order now from http://store.alteredsky.com in a number of formats. Each pre-order will receive two instantly streamable tracks from the album, ‘This War is Mine’ and ‘Stupid In The Dark’.